Moore Push Pin #1102W Series. 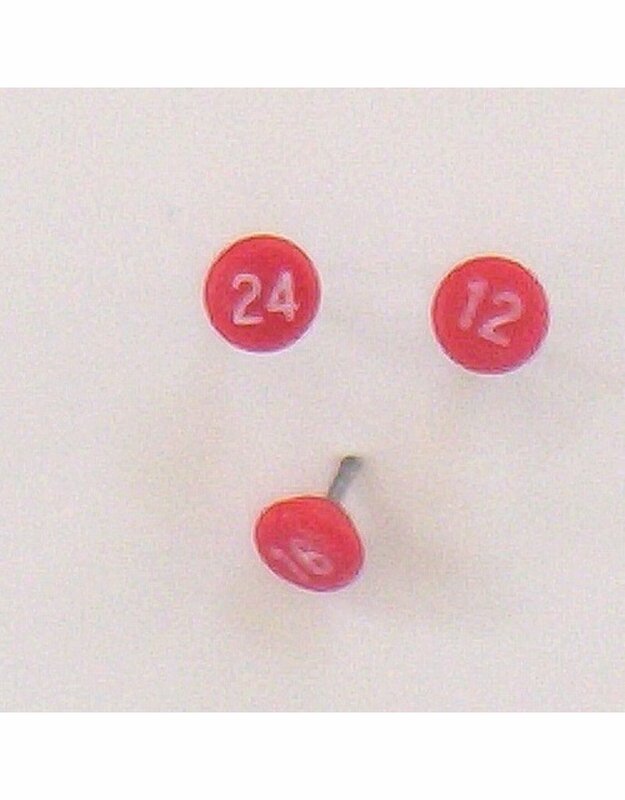 Diameter of flat surface where numerals are engraved and printed is 3/16 inch. 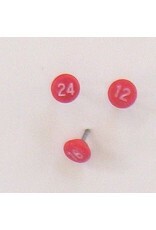 Point is 5/16 inch, 25 consecutively numbered tacks in clear plastic box.